You really are what you eat. This is what makes the grocery store the best place for nutrition education. It’s where you make the decisions about what to bring home to feed yourself and your family. That’s why we offer nutrition services to help you along your journey to better health. We’re proud to have a Nutrition Consultant in each and every Choices location. Our team of Registered Dietitians and Holistic Nutritionists work in harmony to provide evidence-based and holistic food and nutrition recommendations on nearly every subject. 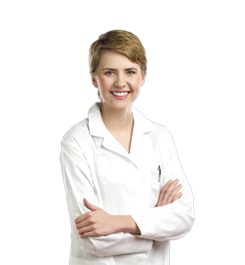 Whether you have a new diagnosis like a food intolerance, celiac disease or diabetes or you want to learn how to read labels or avoid genetically modified foods, Choices’ Nutrition Consultants can help. Book a FREE, 60-minute Nutrition Tour or get a sneak preview of our tours here. Or simply stop by when your Nutrition Consultant is in the store to ask a question, pick up a brochure or recipe, or get help finding a product that’s right for you. 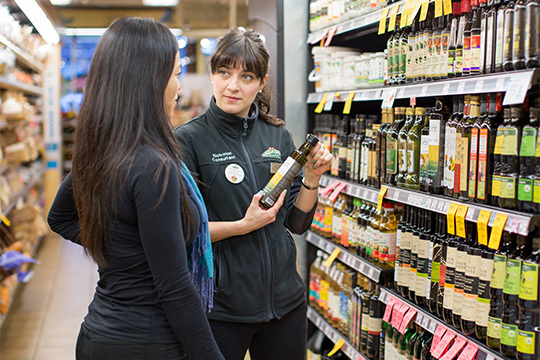 We also offer educational seminars on a range of topics from hormones to digestive health, as well as cooking classes at our Kitsilano, South Surrey, Burnaby Crest and Kelowna stores. Look for special events with guest chefs and educators for DIY workshops on a variety of subjects like fermented foods. To see upcoming events, check out our listings. Do you have a group hungry for knowledge? We’re happy to bring our Nutrition Team to you for lunch and learns and seminars at the office, a community or active living centre or other location. We provide evidenced-based and practical information on a range of topics. Our inspiring and interactive presentations last 45 to 90 minutes, depending on your needs. We can also bring a delicious healthy meal along from our Deli Department for only $10 per person and dietary restrictions can be accommodated. Healthy Convenience Foods: An Oxymoron? At Choices, one way we like to show our commitment to a healthy lifestyle is through our talented Nutrition Team. This group of knowledgeable Registered Holistic Nutritionists and Registered Dietitians is on hand to help you wade through the sometimes confusing information on healthy eating and nutrition. Want to get in contact with them? Book a free nutrition tour today. Is a Registered Holistic Nutritionist (Canadian School of Natural Nutrition). D’Arcy believes wholeheartedly in embracing the positive power of change at any time in our lives. D’Arcy is passionate about helping people simplify meal planning and to shift their “eating paradigm” and discover their best eating plan to achieve and maintain a healthy weight without dieting. In addition to her nutrition training, she holds a BA in Political Science, a Marketing Management Certificate from BCIT and extensive business experience in the telecommunications industry. She is very interested in the politics of food and how the development and implementation of public nutrition and health policies affect us. With a sense of fun she is able to pull from a variety of disciplines to effectively and enthusiastically educate and inspire people to help them achieve their nutrition goals. D’Arcy is holistically inclined, grounded in science, and firmly believes that nothing is as important as good nutrition and a healthy food supply for our own optimal functioning and for the health of our planet. Is a Nutritionist with a BSc in Nutrition and Food Science from the University of Alberta. Caitlyn is passionate about teaching the public about healthy eating and achieving an active lifestyle. She is even a certified yoga teacher. She is an avid traveler (29 countries an counting!) and one of her favourite parts of traveling is trying the different cuisines. Is a Registered Dietitian. She thrives on helping people eat healthier and creating positive and sustainable communities. Elaine graduated from the University of British Columbia with a Bachelor of Science, majoring in Dietetics and minoring in Commerce. Elaine believes that healthy eating is essential to nourish the body. She empowers her clients to reach their own goals and make positive changes in their lives. Elaine is fluent in English and Mandarin and familiar with cuisines from diverse cultural backgrounds. Elaine is thrilled to be part of Choices’ nutrition team and is enthusiastic about helping people achieving overall well-being. Is a Registered Dietitian, passionate about helping people with digestive and other chronic health issues such as diabetes, high cholesterol, IBS, and weight management. After completing her BSc in Dietetics at UBC and internship at the QEII in Nova Scotia, she gained a wide range of work experiences in areas such as diabetes education, geriatrics, nephrology, pediatrics, pre and postnatal nutrition. Niloufar enjoys being creative in teaching healthy living principles to make learning more enjoyable, truly believing that the start to creating a healthy lifestyle for yourself and those close to you can be as easy as changing your usual lunch spot to taking the stairs on your way there! Her passion for nutrition and a healthy lifestyle started at a young age when she saw the impact it had on people close to her. She loves to embody and teach all those principles and knows it can make life more fulfilling, balanced, and healthy. It’s a way of life that is attainable and her passion is to help people use their own knowledge and strength to create it, see it, and maintain it. Is a Registered Holistic Nutritionist, with a Bachelor of Psychology from UBC and a Diploma of Technology in Human Resources from BCIT. Pauline’s motto is to live life to be the best version of yourself and to thrive and be happy. She is motivated to help others better themselves by living a healthy, balanced and holistic lifestyle. Her goal is to educate and spread awareness in the power of food and how we have the ability to make the best conscious decisions for ourselves to achieve optimal health, while simultaneously minimizing our impact and being as sustainable as possible. When she is not busy photographing and eating the rainbow of fruits and vegetables, you can find her exploring the beauty of nature. She looks forward to connecting with more people, sharing her passion and building a positive and supportive community. Is a Registered Holistic Nutritionist graduating from the Canadian School of Natural Nutrition and has earned a Bachelor’s degree from Simon Fraser University focusing on Cell and Molecular Biology, Biochemistry, Kinesiology, and Public Health. She combines her strengths in scientific research and exercise physiology to bring a whole body approach. She has personally experienced how nutrition affects your body, mind, and spirit; first, understand the food one eats, second, acknowledge, the benefits of fueling ones bodily functions, and third create a conscious relationship in one’s mind. Holds a diploma in Exercise Science from Capilano University and a BSc in Food, Nutrition and Health from UBC Vancouver. Zara believes in the therapeutic power of food, where she acknowledges and appreciates that food is a connecting medium between people and place. Additionally, Zara is passionate about the brain-gut connection, body liberation, nutrition education as a potent ally, and sustainable, small scale agriculture. She is so excited to be part of your wellness journey and looks forward to meeting you at Choices! Hungry for knowledge? Sign up for a fun and informative Store Nutrition Tour at your local Choices Markets location. Hosted by a member of the Choices Nutrition Team, you will learn how to choose healthy and delicious foods no matter what your unique dietary needs are.